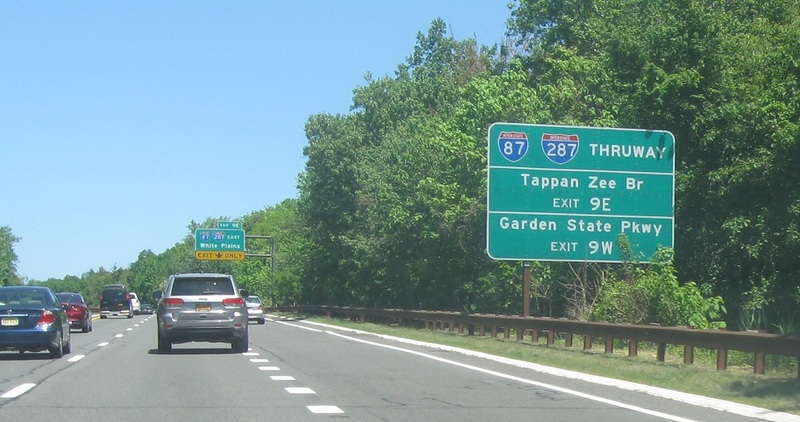 Just after Route 59, we’ll approach the Thruway, which connects to the Tappan Zee Bridge and New Jersey’s Garden State Parkway. 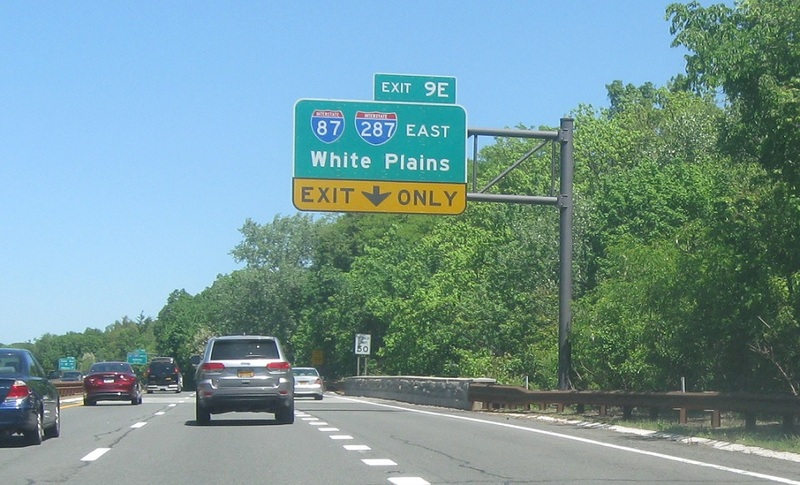 Exit for I-87 south/I-287 east towards White Plains. 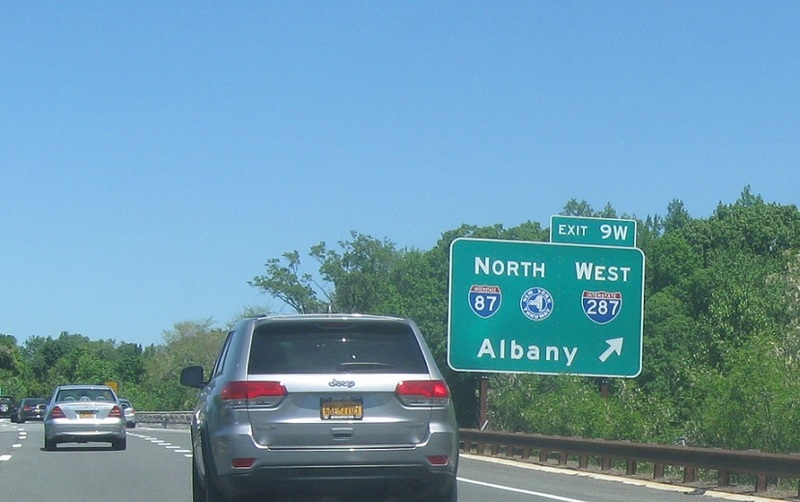 Exit ahead for 87 north/287 west. 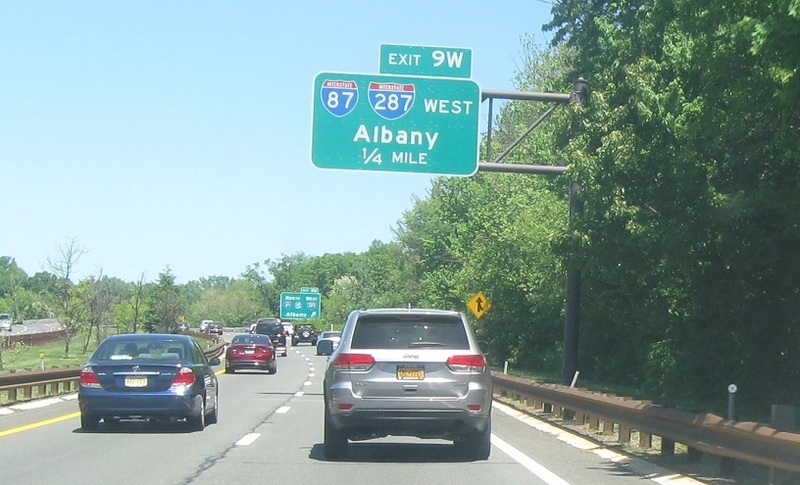 Exit for the I-87 New York Thruway northbound and I-287 westbound.